Welcome to this section on sociological foundations of curriculum. The Sociological Foundation refers to issues from society that have an influence on curriculum. Since the school exists within a given society; and the fact that the ‘products’ of the school i.e. the ‘graduates’ go back to the society, makes the latter an inevitable determinant of the curriculum. There are many aspects of the society that need consideration in curriculum making. These include: Changes occurring in societal structures; Transmission of culture; social problems as issues for Curriculum and Economics issues. Changes that occur in the wider society and culture have an influence on curriculum. the schools to take on more responsibilities previously assumed by the family. These issues need consideration in curriculum development. Also, some of these issues affect formal schooling for some people; necessitating the need for other modes of education, such as distance education. Let us now discuss some of those issues, starting with culture. Culture in any society incorporates valued traditions. In this context, curriculum can be considered to be a reflection or a piece of the culture. These traditions include those in the wider society as well as traditions upheld in the school system. Influence of various Interest groups. Certain groups who have an influence on school curriculum include: Parents, religious groups such as churches, Donors, Trade Unions such as the Kenya National Union of Teachers, Boards of Gover-nors and the media. Each of these groups has certain values that they would want incorporated into the curriculum. As much as possible, their inputs should be considered to ensure their support in curriculum implementation. Equality and Equity issues; such as class systems in society; racial or ethnic issues;Gender; issues of access to education and equality of op-portunity. Factors that affect equality of opportunity include financing of education, fees payments and distances to schools. Health Issues: Health challenges in many parts of the world currently include HIV/Aids, Drug abuse, pollution and other environmental is-sues, family life education including Birth control and family planning. HIV/Aids has in many African countries wrecked havoc leaving many learners as orphaned and vulnerable. Curriculum planning must take that issue into consideration. It is important to acknowledge that education is essentially a political activity. The political climate prevailing in a country is very important and significant in determining the type of schooling and curriculum for the young. Education also has a political function; in that it promotes ideologies which influence the power structure within society. It is noteworthy also that political forces, the most powerful of which are associated with the government of the time, are responsible for allocation of resources that are necessary to support a curriculum. Hence, the need to take the politicians views into consideration in curriculum planning. In addition, a curriculum worker is also likely to have a political and ideological stand in life that would influence his/her decision making process in curriculum matters. (Shiundu & Omulando, 1992: 57). 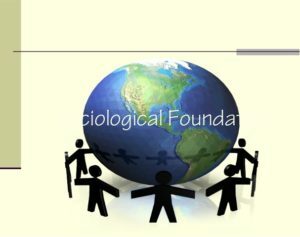 Welcome to this section on psychological foundations of curriculum The Psycho-logical Foundations focus on insights gained from the field of psychology that have a bearing on the learning process, and consequently on the curriculum. – wWhether the children have developed adequately to be able to unders-tand certainconcepts. i.e. Ed. Psychology enables us to follow the deve-lopment of children e.g. lower primary – children are at concrete stage. – Methodology should be such that you have to use real objects to help them understand. -Helps to identify and select those goals that are feasible from those that will likely take a very long time – and are almost impossible to attain depending on the age level. – Enables us to determine the length of time required for the attainment of a particular objective and the age levels at which learning will take place most efficiently; considering also the students. – To determine the conditions necessary for the learning of certain types of objectives. – Helps us to realize that most learning experiences produce multiple outcomes. – Learning which are consistent with each other, which are in that sense integrated and coherent, reinforce each other. Thereareavarietyoftheoriesinthefieldofpsychology.Themostcommonlyused theories in most educational systems are the cognitive theories, though they have their limitations. Let us therefore examine some these in some detail. These are sometimes referred to as simply cognitive development theories or even human development theories. These theories recognize that most of the learning in schools concentrates on the cognitive dimension of learning. Jean Piaget (1896 – 1989), a Swiss psychologist, is considered to be the hero of thehumandevelopmenttheorists.Heprovidedacomprehensiveviewofcognitive growth and development of children as occurring in progressive stages; with a fixed sequence and hierarchy of steps. Child progresses from reflex operations to complex sensorimotor actions in relation to the environmental patterns. E.g. establishing simple relations between similar objects. At this stage objects and events begin to take on symbolic meaning; e.g. a chair for sitting, clothing is what we wear, oranges and bananas are fruits; etc. Here the child begins to organize data into logical relationships; and be-gins manipulating data in problem – solving situations. Learning occurs only if CONCRETE objects are available; or drawing from actual past experiences. Hereditary and environmental factors may speed up or slow down cognitive development; but not change the sequence. The cognitive Approach constitutes a logical method for organizing and interpreting learning. The approach is rooted in the tradition of subject matter. Educators have been trained in cognitive approaches and better unders-tand them in many African countries and globally. Note: Learning in school largely involves cognitive processes. Schools the reforge tend to emphasize the cognitive domain of learning at the expense of other aspects of learning, i.e. effective and psycho motor. Schools should therefore be more humane places where students can fulfill their human potential. Hence, let us now examine Humanistic psychology. Thus, the learner should have an awareness of self. That is, the concept we hold of ourselves i.e. who we are, determines what we do; and the extent to which we learn. In other words, cognitive performance will be influenced by self-concept. Some of the scholars associated with this theory include: Maslow (1908 – 1970) and Carl Rogers. In summary, each of the psychological theories is useful to curriculum planners as they seek alternative approaches for preparing most useful curricula for learners. Tags Activity Psychological Foundations of Curriculum Cognitive Theories Humanistic Psychology (Humanism) Political Dimension of Curriculum Psychology of learning Social Problems as issues for curriculum Societal changes Sociological Foundations Sociological Foundations Of Curriculum Transmission of Culture what is Cognitive Theory what is human psychology ?